Everything seems abundant, billowy and in full flower today. The recent rain has cleared and all the late spring and early summer flowers are here in a rush of green and blue and pink. The roses are racing to bloom as is the love-in-a-mist and the irises are in full bud. The lawn is a bit of a chore to cut, more a meadow after being left for two weeks, with the daisies and buttercups taking over from the dandelions. 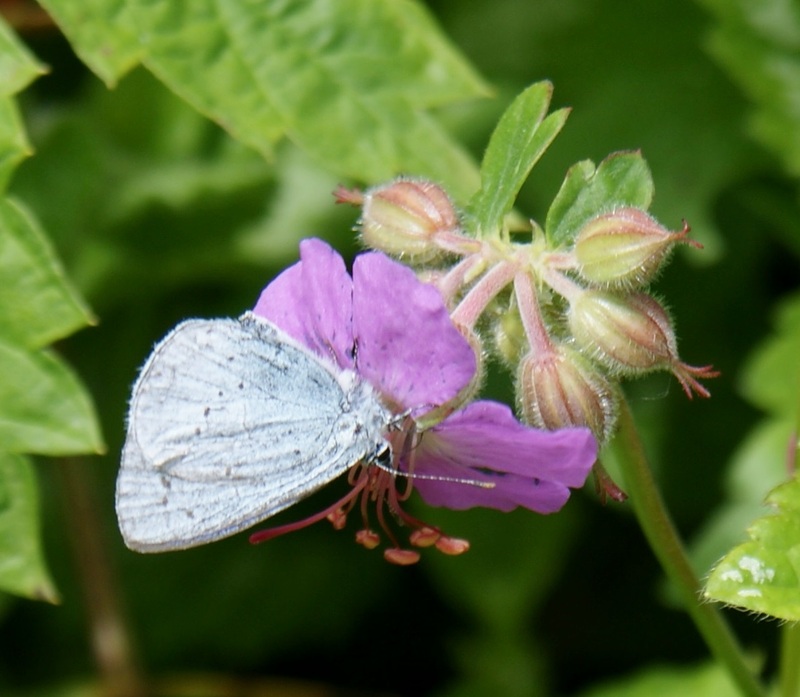 There is even a silvery blue butterfly on the geraniums and plenty of bees, finally. All I need to spot now are some swifts to make it feel like summer is here.